It is obviously very possible to reveal or view Wi-Fi password with Android phones that are rooted. 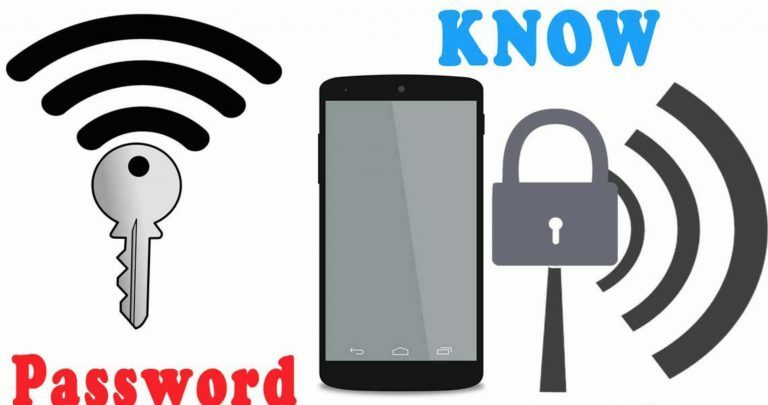 However, it is sometimes, very hard to reveal a WiFi password with no-root, but with a proper understanding of your device, it becomes much easier. By default, Most Android devices cannot access a saved Wi-Fi password, but you are lucky if your device is operating through Android 5.0 and above as it is possible to reveal the password on such devices. First, you need to download and install the ES File Explorer from the Play Store to your Android device. 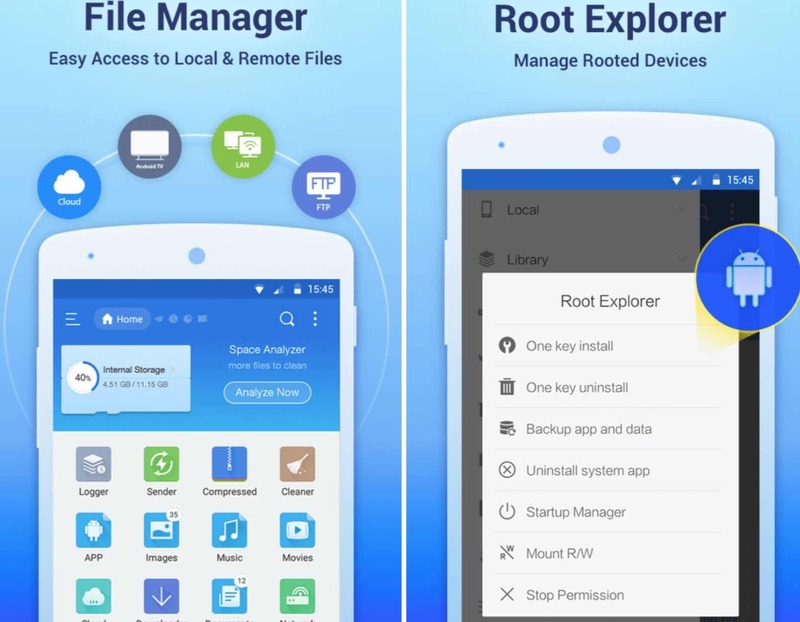 The ES File Explorer app will give you the full privilege to access the system files without rooting. The app also has some more useful features such as restoring your apps and taking regular backups. It can also restore all of your deleted files back to your Android phone. To use ES File Explorer to find the password of available Wi-Fi networks, you needn’t have your phone rooted. However, this works mostly on Android phones with 5.0 version and above. First, open the app and drag the left navigation bar, then select the option of ‘Local Storage’. From the drop-down menu, click on the ‘Device’ and navigate to the System->etc->WiFi. Then, open the file wpa_supplicant.conf. The file manager app may ask you how you want to open it. Select the text file viewer or the built-in HTML. You will be able to view all the passwords of WiFi networks that are connected to your Android phone. This method requires you to access the Wi-Fi router’s admin settings page with any browser on your phone to obtain the password. First, you will need the router IP address. Don’t panic, most routers are manufactured to use default IPs such as 192.168.0.1, 192.168.1.1, or 192.168.2.1. You should be connected to the Wi-Fi network for which you want to see the password. If none of the above IPs works, you can also find the router’s IP address by going to the settings on your phone, select Wi-Fi connections and tap on the network to view the network’s info where the gateway is the router’s IP Address. You can also download a WIFI Analyzer App to view the router’s IP. Launch it, tap the view menu and select AP List. Tap on the network name on the top of your screen. A small window should pop-up showing information about the Wi-Fi. The gateway IP is your router’s IP. Now, type the IP address on any browser in URL, and it will open the routers settings page. You will be prompted to enter login information to access the admin settings. Most routers have default login information. Therefore you can try Username: admin, Password: admin or password or 1234. This will only work if the router passwords have not been changed beforehand. If you succeed to log in, go to Settings or Wireless Settings option, here you will be able to see the pre-set password. Nowadays, technology has advanced so much that with some Android phones such as Xiaomi you’re able to share Wi-Fi with another device. How do you do it? Make sure you are connected to the Wi-Fi network, and then go to ‘Settings’ and select ‘Wi-Fi settings’. Look for the “Tap to Share Password” option below the connected Wi-Fi Network. Simply tap on it and you will get a QR Code on your phone. You can use another phone to scan the QR Code to get connected to the Wi-Fi and know the password. If you don’t have another phone, take a screenshot of the QR code on your phone, and then transfer it to your PC. Scan the QR code screenshot on your PC with your phone to find the Wi-Fi password and connect to Wi-Fi options on your phone. There are many Apps out there that can be used to view Wi-Fi passwords such as WiFi password recovery, Wi-Fi password key, WiFi password Show. The only limitation to these apps in this context is that they require root access. But In this case, you need an App that can access the WiFi password without root. The WPA Tester is one of the best apps that can be used to recover the WiFi password without root. All you need is to use your phone to download the app, install and then launch. On the main screen, you will see a display of available Wi-Fi networks with the red & green signal. To make it a bit easier, you should use the green signal. Once you tap on Wi-Fi name, choose ‘No Root’ option & then select ‘Connect Automatic Pin’. Confirm by selecting no root option from the pop-up. The moment you will be connected to the Wi-Fi, follow the whole procedure of showing the Wi-Fi password without root. It is evident that finding WiFi passwords on your network can be tricky especially when you don’t root. Everyone knows that passwords are essential, but remembering all of them is a bit hectic. However, the above-given guidelines make your work more manageable as you can now comfortably find your WiFi passwords using your phone without root. This should help you trace lost or forgotten WiFi passwords. We hope these simple instructions help you reveal Wifi passwords easily. Do you have other tips up your sleeve that you’d like to share? Let us know in the comments below. We’d love to hear from you! What a fantastic post, Lemmy!! As you have written, “Most Android devices cannot access a saved Wi-Fi password, but now it’s possible through Android 5.0”. It’s such a good thing that people can reveal a Wi-Fi password with Android. Thanks for Sharing. I need you to guide me on how to stream live matches on my laptop. I have access to a Wi-Fi but I can’t stream live matches.